Success By Health’s Ganoderma Essential provides a daily dose of pure Organic Ganoderma in convenient capsule form. This full spectrum proprietary blend contains the most potent parts of the whole herb. In addition, this formula uses not just one type of Ganoderma, but includes all of the most effective forms of Organic Ganoderma in the world. Ganoderma Essential is designed for daily use by the whole family to help support balance to the body. The organic Germanium’s content in Ganoderma. Ganoderma, also known as Reishi, is known as the “Miraculous King of Herbs” globally and has 4,000 years of history in Chinese Medicine. There are over 3 million pages of third party documentation on the internet about Ganoderma. Ganoderma is listed #1 on the Herbal Pharmacopoeia and Therapeutic Compendium. 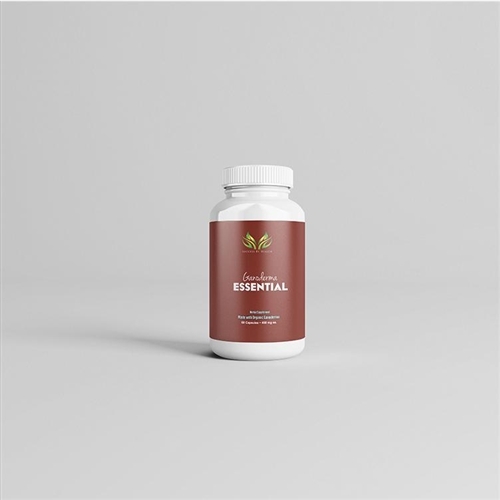 Success By Health’s Ganoderma Essential is rich in organic compounds such as polysaccharides, triterpenoids, nucleic acid, organic germanium, amino acids, calcium, magnesium, iron, ascorbic acid, sterols, lipids, alkaloids, and trace minerals. As a matter of fact, Ganoderma contains 16 types of amino acids (7 of which are absolutely necessary for humans). Ganoderma has the most active Polysaccharides among nutritional plants, which have been known to help improve your body’s immune system and increase your body’s stored energy (stamina and endurance). The Triterpenoids also called ganodenic acid in Ganoderma, has been known as an incredible liver support, blood support, and incredible anti-inflammation support. They’ve also been known for their calming effect. The Nucleic Acids in Ganoderma have been known as an incredible circulation support. The Organic Germanium in Ganoderma is 20 times that of Aloe, 10 times that of Ginseng, and 3 times that of Garlic. Organic Germanium has been known to help improve circulation, help support red blood cells, and help support the body’s metabolic processes. Ganoderma contains the greatest amount of germanium of any plant. Ganoderma is the number one most oxygenating herb in the world, and it helps to naturally replenish fluids and electrolytes, while enhancing the detoxification process. Success By Health’s Ganoderma Essential is the purest form of Ganoderma in the world.